PIMCO Foreign Bond (Unhedged) I (PFUIX) has a yield of 3.44% and a average effective duration of 7.59 years. It was down 5.00%. PIMCO Emerging Markets Bond Instl (PEBIX) has a yield of 5.66% and a average effective duration of 6.48 years. It was down 8.92%. 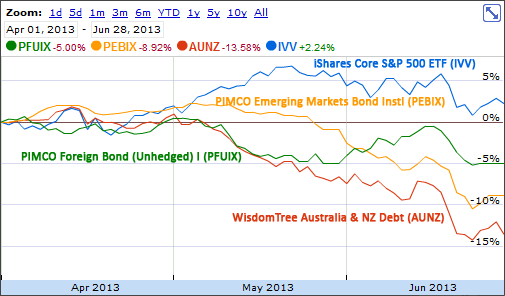 WisdomTree Australia & NZ Debt (AUNZ) has a yield of 3.54% and a average effective duration of 4.07 years. It was down 13.58%. In addition to interest rate risk, foreign bonds also have currency risk. Foreign bonds are repaid in foreign currencies. If the U.S. dollar is dropping in exchange rates against the foreign currency this can be good as you will get paid back in a foreign currency which is increased in value. But if the U.S. dollar strengthens against the foreign currency then you will get paid back in a less valuable currency and lose some of your purchasing power. The currency markets are over ten times as large as the equity markets. Putting a portion of your investments outside the danger of the U.S. dollar being devalued is a good idea. Sometimes that diversification means that you get a little better return and sometimes it means that you get a little worse return. 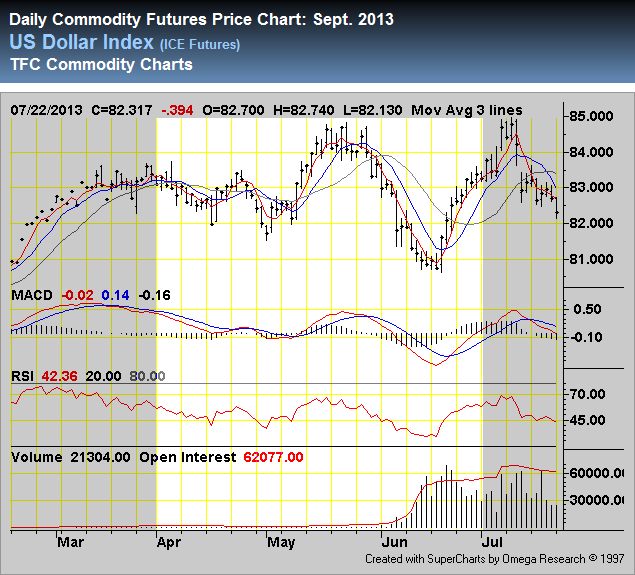 During the second quarter of 2013 the U.S. dollar Index strengthened. This means that the U.S. dollar gained in value against a specific mix of foreign currency used to measure the value of the U.S. dollar. The drop for the average basket of currencies against the U.S. Dollar was greater or smaller depending on the country. Foreign bonds play a very specific role within a portfolio of protecting a portion of your stable fixed income funds against the devaluation of the U.S. Dollar. 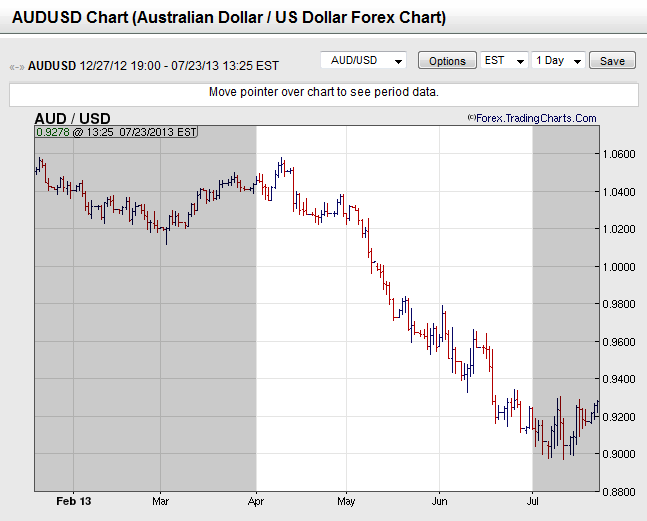 Just because the dollar strengthens for a quarter does not mean you should abandon this strategy.